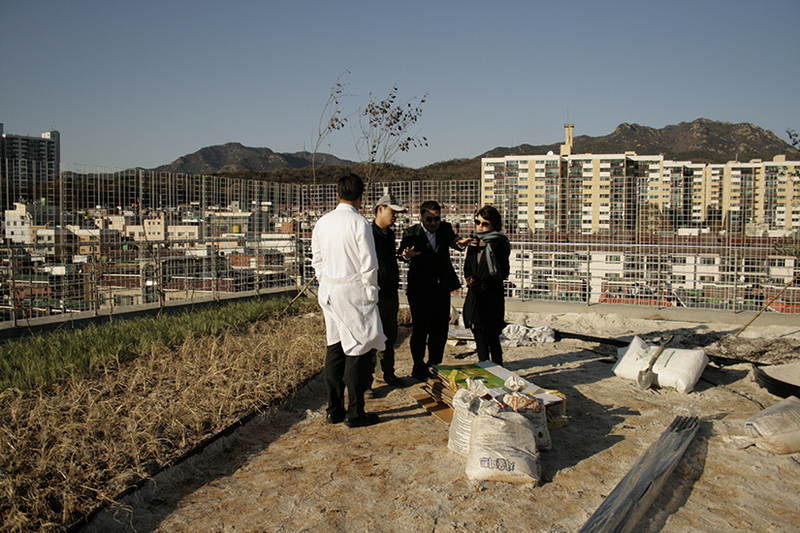 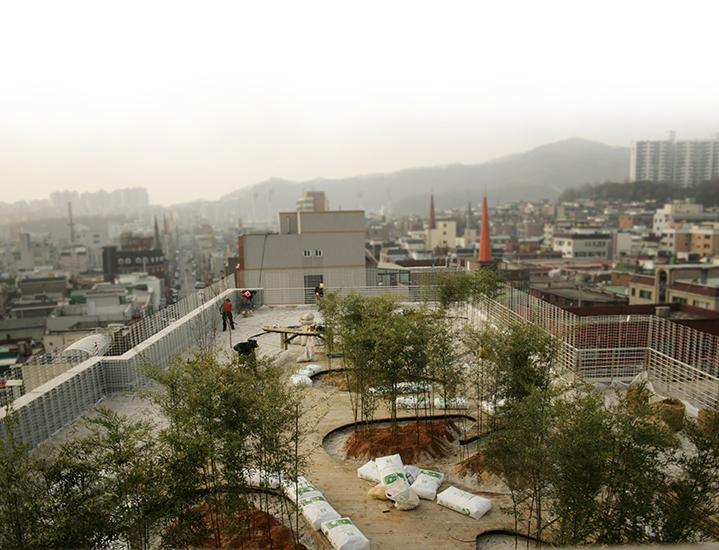 the roof garden is on top of a rehabilitation hospital. 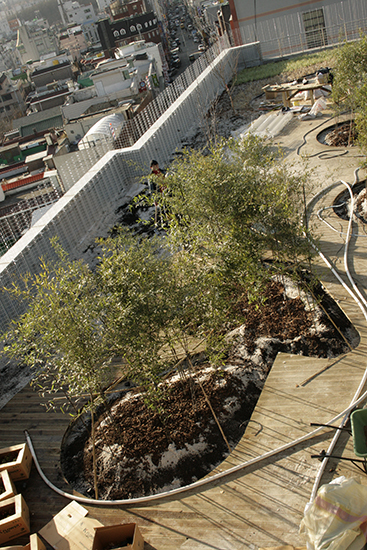 the sinuous deck provides elongated walk space for the patients through black bamboos. 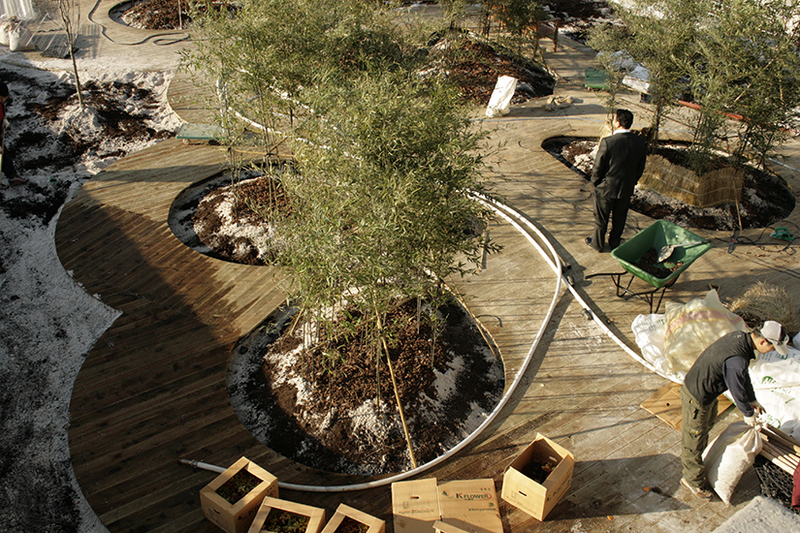 Herbs and other perennials were planted for extra fragrance.